With these words, Hamas leader Abdul Aziz Rantissi folded his book of life. 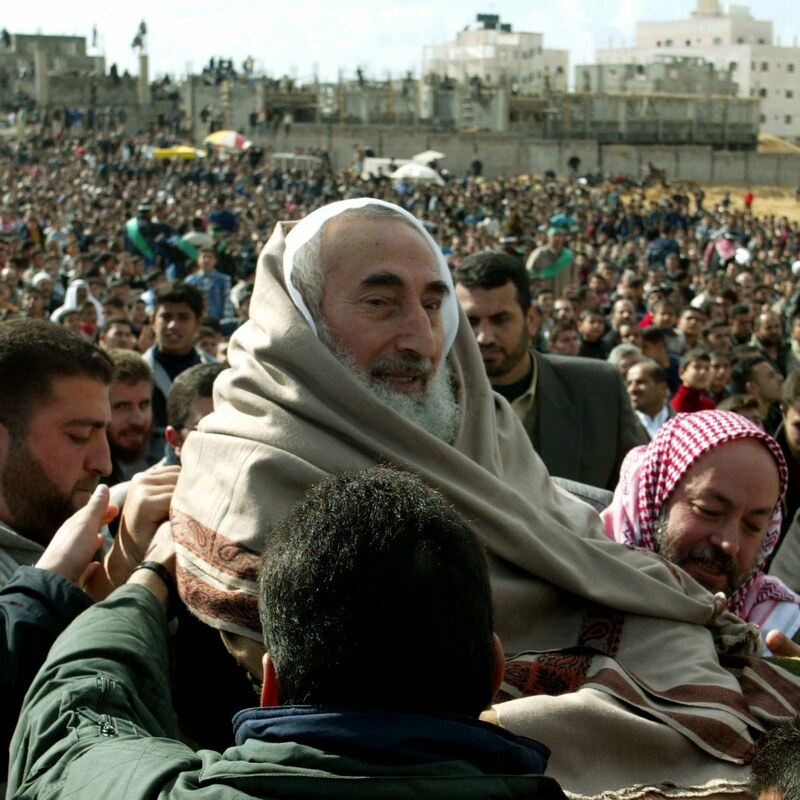 God granted him his wish on April 17, 2004, at the hands of Israeli assassins. 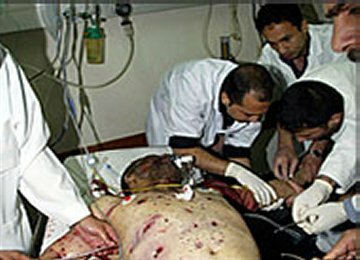 Dr. Abdel Aziz al-Rantissi (October 23, 1947 – April 17, 2004) was the co-founder of the Islamic resistance movement Hamas with its spiritual leader martyr Sheikh Ahmed Yassin. 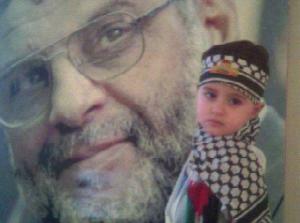 He was Hamas’s political leader and spokesman in the Gaza Strip following the martyrdom of Sheikh Yassin in March 2004. Like all resistance leaders, Rantissi opposed any compromise with Israel and called for the liberation of the occupied Palestinian territories through armed resistance. Rantissi was born in October 1947 in Yibna, a small town between Ashkelon and Jaffa. When he was 6 months old, and after the Nakba (Catastrophe) of 1948, his family fled to Khan Younis Refugee Camp in Gaza, expecting , as all Palestinians did, to return at war’s end. He started working at the age 6 to provide for his very poor family. Young Rantissi graduated from the UNRWA secondary school in Khan Younis in 1965. He received a scholarship and began studying pediatric medicine at the University of Alexandria, in Egypt. Upon his graduation in 1972, Rantissi returned to Gaza and a year later founded the Gaza Islamic Center. In 1974 he returned to Alexandria for his two-year study for Masters in Pediatrics. At that time he took up an internship at Nasser Hospital, the main medical facility in Khan Younis Refugee camp. He also joined the Faculty of Science at the Islamic University of Gaza, on its opening in 1978, teaching science, genetics and parasitology there. In January 1987, Israeli settlers and soldiers intentionally killed four Palestinian civilians in the Jabalya refugee camp. 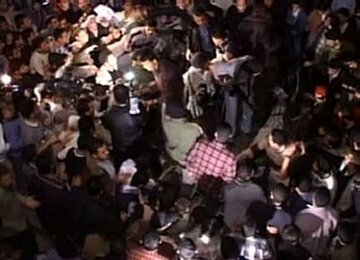 Eventually, Palestinians took to the streets and according to Rantissi, this was the start of the “Intifada”. 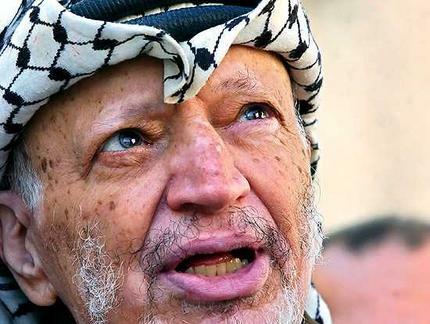 He joined with Sheikh Ahmad Yassin, ‘Abdel Fattah Dukhan, Mohammed Shama’, Dr. Ibrahim al-Yazour, Issa al-Najjar, and Salah Shehadeh to found the Islamic resistance movement (Harakat al Mukawwamah al Islamiyya) which was then called “Hamas”. He served as the movement leader in Khan Younis. “Intifada” is the Arabic word used to describe the Palestinian uprising against the Israeli occupation. Rantissi was arrested in January 1988, accused of authoring Hamas’ street pamphlets inciting support for the intifada. He was sentenced to two and a half years in jail. He was released on September 4, 1990, and effectively led Hamas until rearrested for incitement in November 1990. He was sentenced to 12 more months, which he served first in isolation with Shiekh Yassin, who was also arrested, and subsequently in solitary. Then he was released from jail December 12, 1991. He joined Gaza Medical Association in February 1992, and represented Hamas in the July 1992 reconciliation accord that brought an end to intra-Palestinian infighting in the Gaza Strip. (Haider Abdel Shafi signed for the PLO). 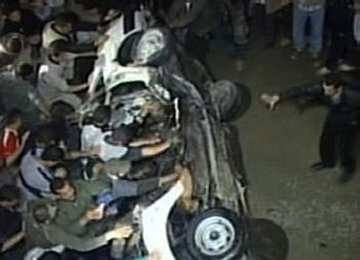 In December 1992, Hamas killed six Israeli soldiers in one week. Israel responded by expelling 416 of the movement activists to Marj al-Zuhur in south Lebanon, including Rantissi who acted as spokesman for the deportees. On his return in December 1993, Rantissi was rearrested by Israeli authorities and held until April 1997. In April 1998, Rantissi was arrested by the Palestinian Authority, after calling for the resignation of its leaders and served 20 months in jail without trial. He was arrested again in July 2000, after calling the Palestinian participation in the Camp David talks ‘an act of treason,’ and released in December 2000. 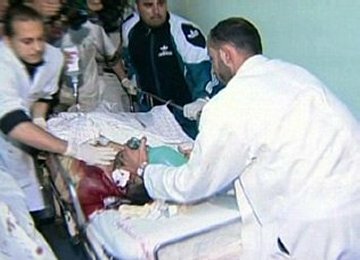 June 10, 2003, Rantissi survived an Israeli assassination attempt, which killed two bystanders and left 27 wounded (including one of Rantissi’s sons, who was paralyzed). Rantissi himself was wounded by shrapnel in the chest and leg. 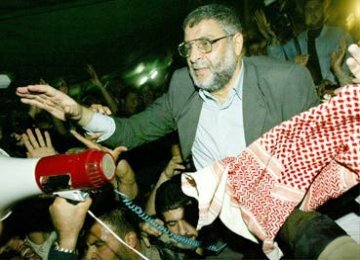 Rantissi was appointed head of Hamas in the Gaza Strip following Israel’s assassination of Shiekh Yassin March 22, 2004. He knew that he was marked for death as soon as he took office, but declined to surrender and go underground. He had a defiant thinking about assassination and especially about martyrdom, “It’s death whether by killing or by cancer, it’s the same thing,” martyr Rantissi used to say.